The official part of the seminar was chaired by Cyprian Estemberg, Product Manager VTS, an expert in the field of ventilation and air - conditioning – It was the first meeting this year. 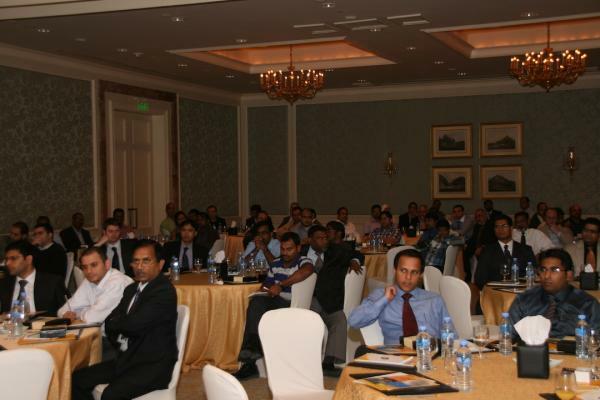 Next international seminars are planned in India, China and Russia. Huge interest shows the enormous importance of such trainings, both for the company and for our potential Partners – he said after the meeting. 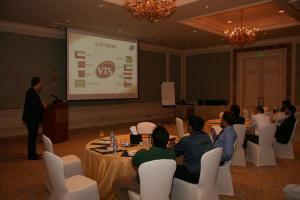 The seminar opened with a general presentation of VTS company and its achievements in the industry. After a short introduction, Cyprian Estemberg moved on to the main part of the agenda – the presentation of innovative solutions applied in the air-conditioning VENTUS central unit series. Among other things, he brought up topics such as: advanced technology and innovative casing construction. Special interest was raised by the methods to calculate the ventilation network efficiency with reference to the ventilator operation (SFP). It is worth stressing that the technical aspects were not the only topics at the meeting. The presentation of advantages and benefits of VENTUS central unit and its advantages over the competing products turned out to be an extremely important point. 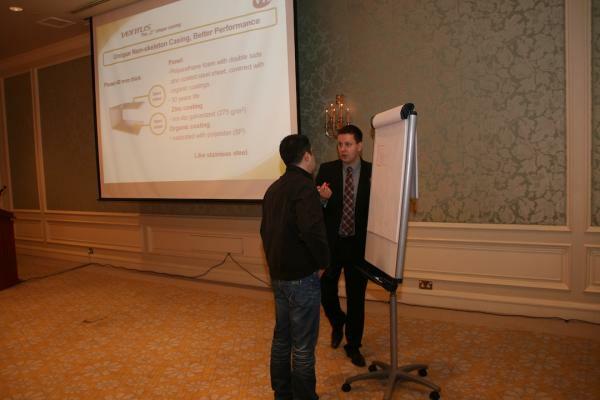 The seminar ended with questions, which quickly turned into a discussion about the advanced technology applied in the product. After the presentation, the participants were invited to a banquet in the Four Season Hotel. This informal gathering was an ideal occasion to exchange ideas, experiences and knowledge amongst different business entity representatives. - Today’s seminar was a great success for us. High ranked consultants from Qatar and key investors from the industry participated in the seminar. It was a great chance for us to establish contacts with potential Partners and we are convinced that we took full advantage of it – Muhammed Fazal Rashid, Managing Director VTS Group, the seminar organizer. Product seminars create not only huge possibilities for knowledge and experience exchange, they are also a great occasion to promote the company and what it has to offer amongst designers, investors and potential clients. Organizing such regular seminars allows us not only to gain new Partners, but also to strengthen VTS image as an expert in the ventilation - air conditioning industry.